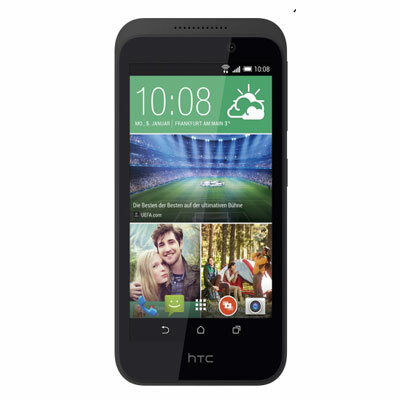 With its shapely edges the HTC Desire 320 measures 5.2 x 2.67 x 0.41 inches and weighs 145 grams. The simple to use device has a removable back for access to the SIM card and microSD card slot. With a plastic body, which makes it resistant to scratches and everyday bumps and scuffs, the device features a prominent speaker grille on the front and is solidly built. For quick point and shoot images, the main camera on the HTC Desire 320 is a 5 megapixels fixed focus with 1080p HD recording. The device features built in edit tools to help create a short span video of 30 seconds. There’s also a front facing selfie camera with VGA resolution. With a bright 4.5 inch TFT capacitive touchscreen, the HTC Desire 320 has a pixel resolution of 480 x 854 (218ppi pixel density). Photos and videos look stunning with sharp details and colour. The device comes complete with HTC BlinkFeed for automatic updates regarding news or social networking. The Desire 320 is driven by a 1.3 GHz quad-core processor for fast web browsing and multitasking. 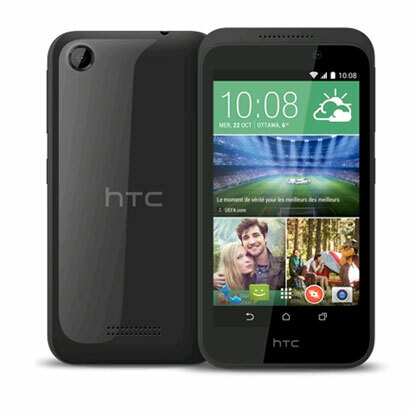 The Desire 320 runs on Android 4.4.2 KitKat operating system with HTC’s Sense U. It has 1GB RAM and 8GB of onboard storage and up to 32GB of additional storage with microSD support. The 3G device is powered by a removable 2100mAh battery with up to 720 minutes talk time and features the essential Bluetooth 4.0, USB and Wi-Fi.